I mean, as perfect as you can say anything about a videogame. There are no perfect videogames, even if there are some we like to think of as close. I’d say that Majora’s Mask is close, for example, but then as I say that, something springs to mind it could do better. Prince of Persia: Sands of Time is an excellent game but the combat is a bit tiresome. The point is, there isn’t really a perfect game, as much as there are just games of such an exceptional quality that any criticism of their failings or weaknesses tends to be by nature outsized. If I wanted to tell you about the weaknesses of Pokemon Sun, by just giving them attention, they’d be made disproportionate. Like, it’s a bit weird how Charjabug’s attack stat stops being important after it evolves into Vikavolt, which is an extremely powerful special attacker, but also because of its darting movements, it looks really fast, yet despite that it isn’t very fast? That is a bit weird. But to bring up that complaint I’m highlighting one design decision – not even a mistake, just a decision – amongst the thousands and thousands that go into making a pokemon game. There are things that feel like mistakes, sure, like I still don’t know who had fun with poffin blocks, but that doesn’t mean the decisions to integrate those game components weren’t made with a holistic vision of an audience. Every pokemon game I’ve played so far has been so incapacitatingly excellent, even when I can look back only a generation later and say well that was a clearly stupid move. It isn’t even that I fell into features I disliked and fooled myself into thinking they were good. It’s that the features that make the games worse were all optional. Poffin blocks, secret bases, competitions, one-and-out four-on-one battles, the whole point of Pokemon games is to be sabots around the core game of pokemon battling, and that is a game style that has been honed to a fine edge by generational iteration. Pokemon battling back in Red Blue was good, Pokemon battling in Sun Moon is good, and while there’s definitely improvement between the two, and some eras are more meaningful to me, eras I remember where strategies I liked were stronger, I’m still unable to see them as anything but a clear, smooth progression upwards. There’s a deliberate reorientation of game space in competitive pokemon. It’s not like there was a single perfect Pokemon play environment and every iteration is Gamefreak trying to make it happen. If you’re interested in competitive histories, you can see an interesting assortment on False Swipe Gaming. One generation was about high-powered crit beasts, and the next generation was a correction changed it towards an environment of slow tanks. Then we changed again for speed, then again, and again, an era of entry hazards, an era of weather teams. Sometimes speed is too good, status too good, sometimes the environment showcases one set of mechanics, sometimes another. It’s all done very intentional – whether or not it works, whether or not it’s good is always hard to say, but it is definitively something done with intention. What that means is that the flaws of each Pokemon game sit upon them like a chicken on an ostrich egg – the sheer competence of everything else in a Pokemon game means that even the worst of them is still really good. The most broken Pokemon play environments of all – Red Blue and Yellow Stadium – were ones where the game cheated to a ludicrous degree, and there were balance-busting bugs and the entire fundamentaly system had flaws that we have now moved so far beyond it’s easy to forget they were ever there, but we played them anyway and we played them a lot. This is a competitive tournament scene that has been going pretty much nonstop for decades now. That then means that any complaint has to be made in the shadow of the statement ‘the worst version of this game was still good enough to hold my attention for two years and it has never gotten worse even if it has gotten less personally fulfilling.’ And if this was on Youtube, you can bet the lead comments would be someone saying ‘well actually, you’ll find that Black White 2 was worse than Black White one because hurfle furfle durfle,’ and that’s really good for that person, I’m glad they can maintain their confidence in that kind of opinion, but it’s meaningless. Attempts to categorise the games are always going to be extremely personal, and the games have, broadly speaking, improved in overall User Interface and User Experience. 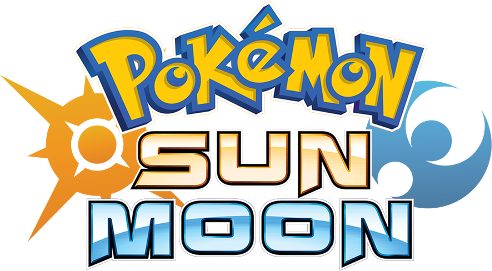 With that in mind, Pokemon Sun and Pokemon Moon are Pokemon games. They are as good as Pokemon games tend to get. Each game can be viewed in terms of what differentiates it from other existing Pokemon games, and this time around we have remixes, a rather cinematic plot with some really nice, different messages, and a ‘team Rocket’ that breaks with convention by not being corporate. In previous Pokemon games, you’re opposed by some force, usually an analogue of or resuscitation of Team Rocket, who are basically a corporation run by a corrupt executive with a lot of money. They’re a criminal enterprise but also have boardrooms and meetings and stuff like that, so trust that as far as you can. In some editions they want to destroy the land, in others they want to destroy the sea, in others they want to steal pokemon and in others they want to free pokemon but the basic is the same: They’re a force following a moneyed jerk and have uniforms and an ideology that mostly relies on fulfilling the demands of said jerk. In Alola, instead you have Team Skull, who are a gang. Literally a gang – they behave as a surrogate government system in a collapsed city, and they mostly seem to finance themselves through petty theft or blackmail, including some of the most depressing Pokemon Centre exploitation schemes possible. 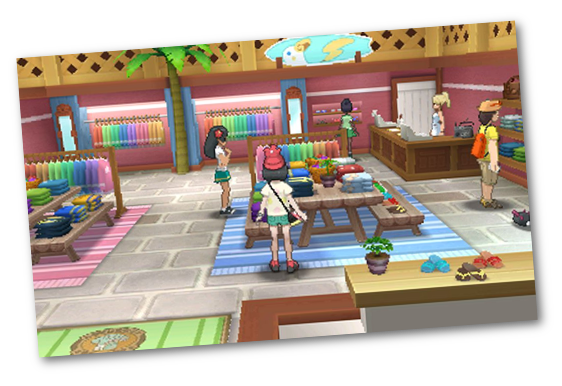 It’s been pointed out by others, but in Po Town they have exclusive control over the Pokemon Centre, and yet they charge you a trivial amount of money to use it. It seems more about exerting power than about making money. They also just have the whole air of a lost misfits style group. They live in a big house that they leave in disarray, they throw things around and wreck them for fun, they talk about looking out for one another and trusting in the boss, but they don’t have plans per se. They’re much more about schemes. When they’re conscripted to help the villain, it’s not like the group at large are into it, they’re just following the leader. They even mock one of their own members because he hasn’t made friends in the group. It’s a really different feeling than you get out of groups like Team Rocket who have monogrammed uniforms and hot air balloons. The plot is, again, interesting because this time it builds around a message of selfish love. 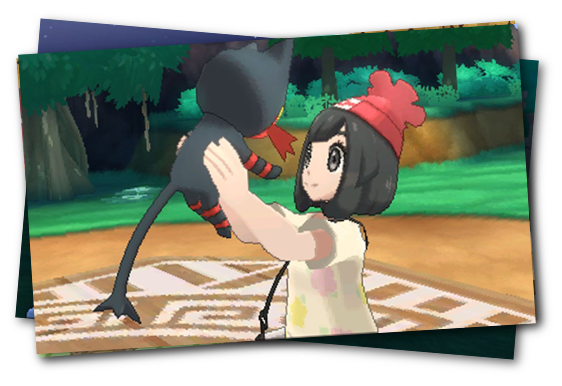 Most Pokemon games have an undercurrent message of friendship and love – this is one of the first times we’ve seen it underscored that it’s entirely possible that people can be cruel and selfish despite acting in the name of love. It’s a rare instance to show, well, emotionally abusive parenting of this ilk in most anything aimed at kids, and it’s pretty chilling stuff. Even things like the Ultra Beasts and the Totems and their alternate zones are pretty fascinating, giving this instance of the game a real bigness you don’t normally get. Finally, the mechanical remix was really interesting! 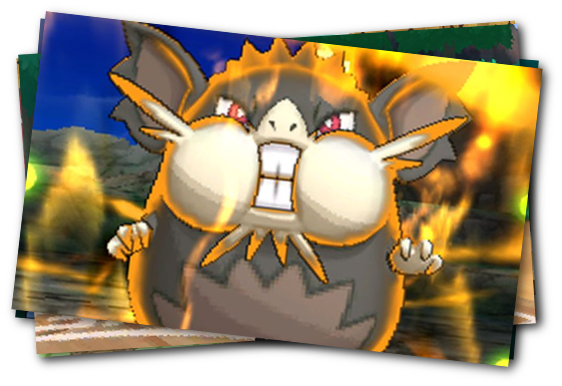 Rather than force you to try to remember two hundred brand new Pokemon including This One’s Rattata, This One’s Pidgeot and This One’s Goddamn Tentacruel, Pokemon Sun & Moon differentiates itself by introducing things like alternate takes on existing Pokemon, allowing for a fun remix structure of things that were familiar without necessarily inflating the information you have to internalise. 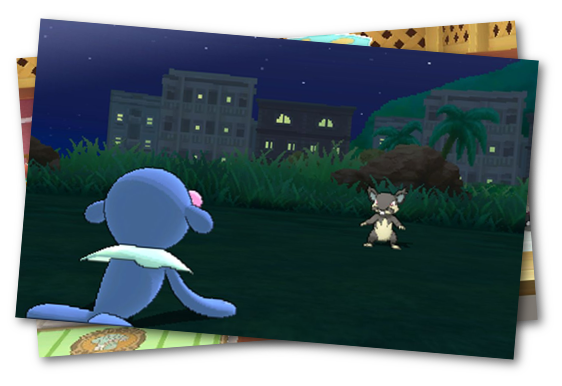 Rattatta in Alola and Rattatta in Kanto behave pretty much the same as fast attackers, for example, but there’s differences in how you try to fight them or what you use them for. Years ago, back before … god, Pokemon Black and White, I think, I wrote an article which I never posted anywhere, about how you can learn from Pokemon because it uses its super-consistant framing to keep you in a familiar space and make sure you can focus on the things that are different. Get the basic experience right, and then improve it a little bit, every time. Get something someone can bear to play through, and then work on the next thing, the next version. This is what we call iterative design, and when you talk about something as big as Pokemon, it’s kind of hard to feel you can learn that lesson. But it’s why we talk about things like the minimally viable deliverable. If you can make the smallest version of your game, and make that fun, you can then make additions and test them to make them fun. Don’t spend too long making something grand. Don’t make something massive and then try to find the weakest spots. Make something small, then iterate on that.